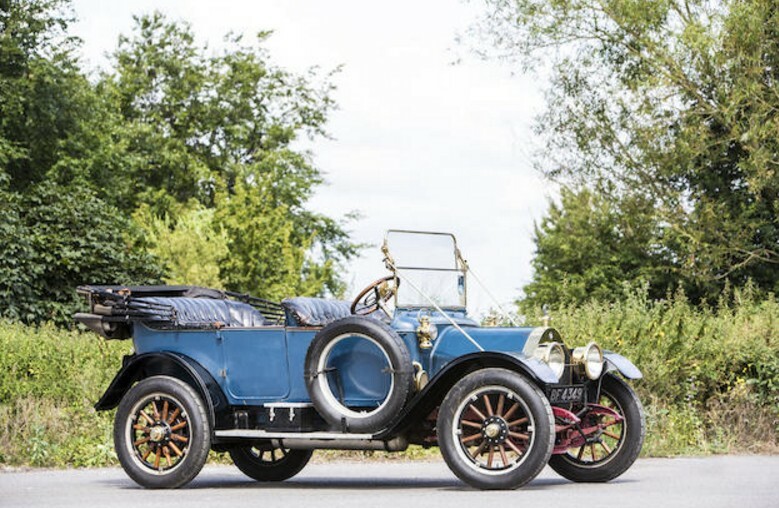 The 1913 Model 17 was the mid-range model, offered in six body configurations with the Five-Passenger Tourer being the least expensive at $1,950. It is powered by a 36 horsepower straight-four. 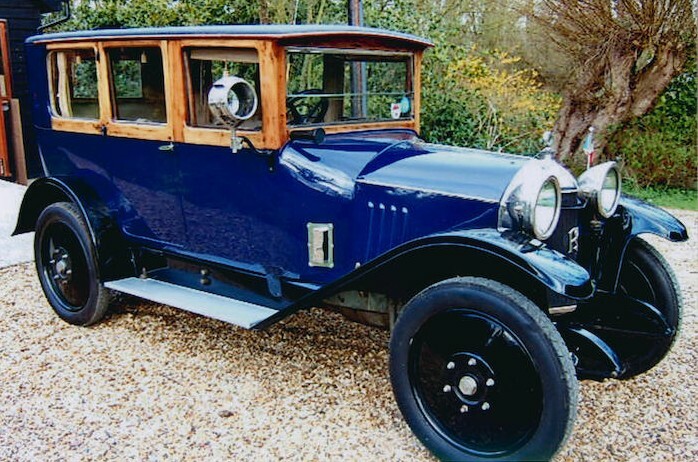 This example was imported into the U.K. in 2005 and mechanically restored shortly thereafter. It’s a runner and driver, with a lot of original pieces left, like the interior. It should sell for between $26,000-$32,000. Click here for more info. Clyde is a very interesting automobile manufacturer from Leicester that was founded by George Wait as a bicycle manufacturer in 1890. Automobiles came in 1901. Remarkably, by the time the company closed up shop in 1930, only about 260 cars had been produced. This car is powered by a twin-cylinder White & Poppe engine and was owned by the company founder in the 1950s. It was restored in the early 1960s an then put on display in a museum from 1962 through 2003, when it went to America. Now it’s back in the U.K., having covered only about 100 miles since its restoration. It is one of three Clydes known to exist and should bring between $26,000-$39,000. Click here for more info. The Briton Motor Company was based in Wolverhampton and was founded as an offshoot of the Star Cycle Company under the direction of Edward Lisle, Jr. The first cars appeared in 1909 and the marque lasted through 1928, although it was dormant for a few years in between. 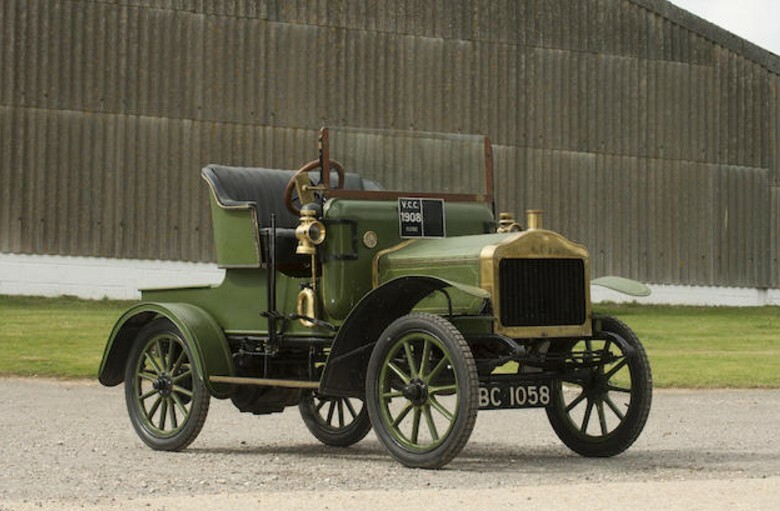 Among the first models the company produced was the 7HP “Little Briton” – a seven horsepower, twin-cylinder runabout that seats two. It was a light car and it was cheap. Only five of these remain and this is the oldest, having been delivered new to Ireland. Forty years ago it was stashed in a barn and only discovered again in 2015, when it was restored to running condition and refurbished as needed. It should bring between $21,000-$26,000. Click here for more info. While this car is technically being sold as a restoration project, it is still very interesting. Charles Garrard started importing Clement engines from France in 1902. 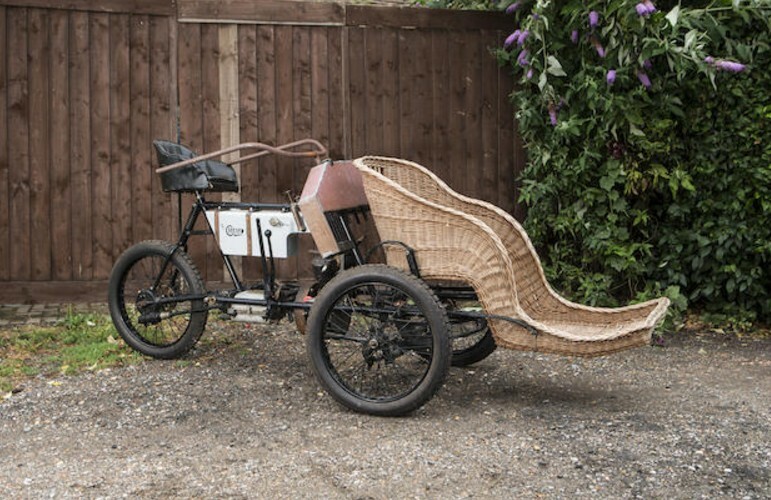 His idea was to attach them to tricycle frames and build Forecars, a popular, if not dangerous, style of transport in England in the day (nothing like having your passenger be your front bumper!). They were originally called Clement-Garrards, until 1904 when he dropped the Clement part. Garrard ceased production shortly thereafter, making this 1904 model very rare. This tricar is powered by a four horsepower v-twin and should sell for between $21,000-$31,000. Click here for more info. 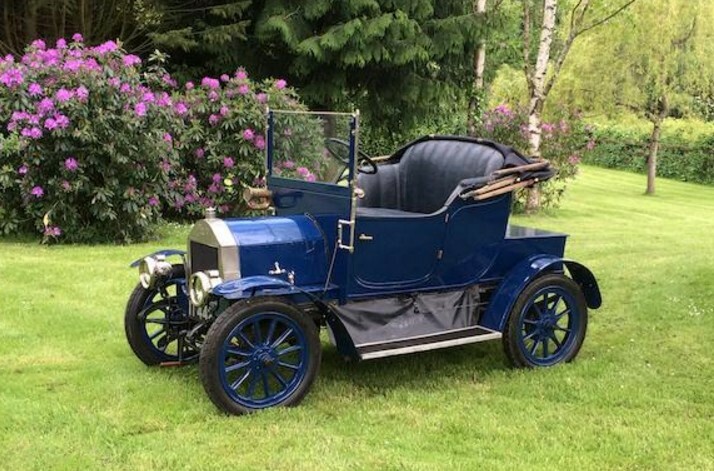 Rochet-Schneider was a French automobile marque – and by the time this car was built in 1914, it was already a very old one. Edouard Rochet and Theophile Schneider joined forces (as did their families’ legacy businesses) in 1894 to produce automobiles. Production would last through 1932. This car has known history back to 1954 and was restored in the late 1990s (with the exception of the interior). It is powered by a 12 horsepower, 2.6-liter engine, capable of long distances at 40 mph. While French cars of this era aren’t the most powerful or the fastest, this model, with Limousine coachwork by Allignol, is rather imposing. It should bring between $23,000-$28,000. Click here for more info and here for more from this sale.